The unique color of our orange-topaz cross pendant set in yellow gold symbolizes the light of the world, which emanates from believers who have put their faith in Jesus Christ alone for their salvation. "Ye are the light of the world. A city that is set on an hill cannot be hid. Neither do men light a candle, and put it under a bushel, but on a candlestick; and it giveth light unto all that are in the house. Let your light so shine before men, that they may see your good works, and glorify your Father which is in heaven" (Matthew 5:14-16). 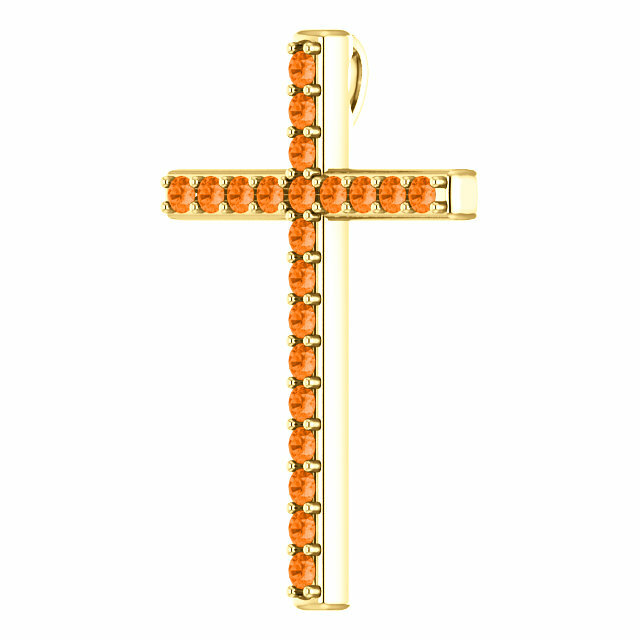 The cross is set with 21 high quality 2mm Swarovski orange topaz gemstones in your choice of 10k, 14k, or 18k yellow gold. The cross measures 1 1/4" tall x 0.85" wide and includes a hidden hoop/clasp that sits behind the pendant and is out of sight when worn with a necklace of your choice. 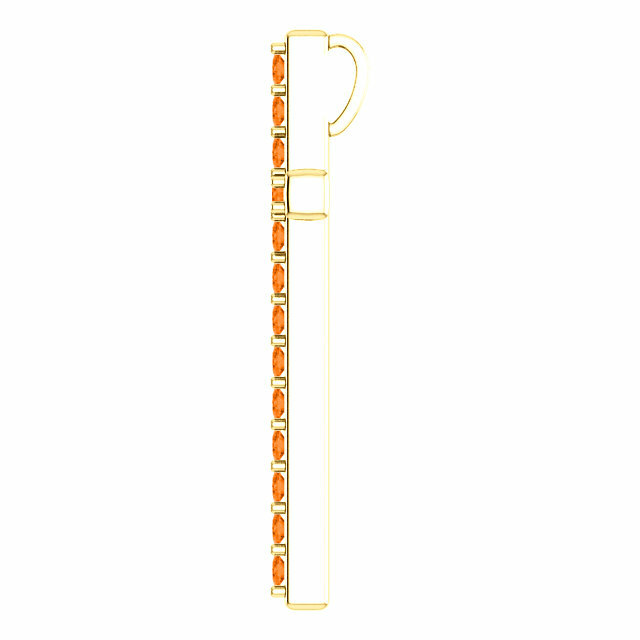 Optionally, you may add a matching gold cable chain necklace in 18" or 20" or wear the orange topaz cross with a necklace of your own. 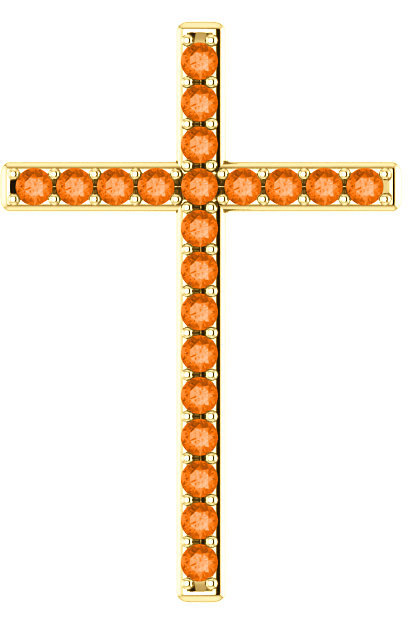 We guarantee our Light of the World Orange Topaz Cross Pendant in Gold to be high quality, authentic jewelry, as described above.